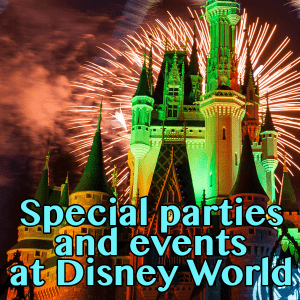 There are several special events and parties held at Disney World that you might want to do during your trip. Today, I have info on each of those, including what each event includes, how much it costs (if anything), if I think it's worth it and the best times to go to each. I also have a quick tip if you'd like to enjoy the fireworks from the special parties without attending the event. Just want to watch the fireworks for the special parties but don't want to pay to enter? Read this DISboards.com post for detailed locations to watch Magic Kingdom fireworks. You can also watch Hollywood Studios fireworks (which only take place during special events) from outside the park for a great view. The Frozen premium package was, as you said, certainly not necessary…. but was still a lot of fun! I really appreciated having reserved seating for all of the events at such close proximity to the stage. They tape off a special area for the kids, so you can hang back and know that they 1) have a great view 2) are very safe 3) can enjoy their unlimited ice cream in peace, haha and 4) aren’t being shoved out of the way by obnoxious, selfish adults – a problem we had at other parades. The desserts offered at the end of the day were so good – and varied! – that it was almost worth the cost right there. Seriously. And they did have alcoholic indulgences for the grownups. Again, while not necessary, it was a pleasant bonus to our trip, and I would consider these kinds of premium dining events during future trips. Thanks for the great podcast! I was wondering if some of the events above are allergy friendly. 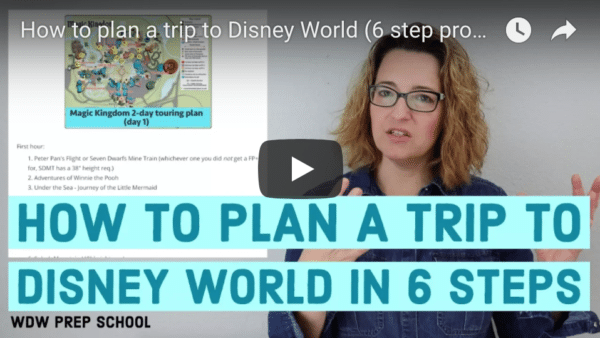 The events I was specifically wondering about are Mickey’s Not So Scary Halloween Party and the premium events at the Epcot Food and Wine Festival. My 2nd question is for Kenny the Pirate – Thank you for the write up on the Frozen Summer Fun. The maps are great. I’m assuming green are the prime locations and red are areas to avoid for the fireworks. Am I correct? Also, do you know what time the fireworks are? I have read that at the Halloween party, you can swap your Halloween candy at guest services for allergy friendly fare (and they have a few to chose from). One good site for allergy friendly is http://www.glutenfreedairyfreewdw.com/ She also links off to other allergy sites, so it’s a good starting point if your allergy issues aren’t gluten or dairy. Hi Shannon, I always listen to the podcast because it definitely has more info than the show notes. This time you left the quick tip of the day out of the show notes. Not sure if it was a mistake or if it was intentional. Still wanted to let you know in case it was a mistake. Thanks! Thanks for pointing that out! I had written it but it wasn’t showing up in the post. I think I fixed it so it should be working now.